No one knows whether the “Lost City” actually exists and, if it does, whether it was built by the Mayas or some other, unknown indigenous group, but Mosquitia’s thirty-two thousand square miles, filled with rainforests, swamps, lagoons, rivers, mountains, ravines, waterfalls and roaring torrents have been virtually impassable throughout modern history, and early maps have labeled this place “Portal del Infierno,” or “Gates of Hell.” Any adventurer willing to test himself against these natural barriers would also have to be willing to deal with deadly snakes, jaguars, catclaw vines, with their hooked thorns, and hordes of insects and flies carrying unknown, possibly virulent diseases. And if someone were still determined to look for this lost city, s/he would also have to deal with equally dangerous human problems: Much of the area surrounding Mosquitia is ruled by drug cartels. In February, 2015, an expedition of researchers decides to investigate this area, fearing that the on-going clear-cutting of the land could lead to the inadvertent discovery and destruction of ancient ruins and artifacts from the “lost cities” in Mosquitia. Author Douglas Preston joins a small group of researchers headed into a part of the jungle which “had not seen human beings in living memory.” Scientists, archaeologists, photographers, film producers, a British veteran skilled in jungle warfare and survival, and an expert in “lidar,” a form of radar involving Light Detection and Ranging, have been granted ten days to set up camp, do their research, and then leave the area, empty-handed. The President of Honduras, Juan Orlando Hernandez, has provided army rangers, many of them members of indigenous Indian groups, for the protection of the researchers, and everyone involved in the project is to operate under the greatest of secrecy, revealing nothing about the location, keeping all notes, maps, and photographs under guard, and protecting the isolation of this area from those who might want to profit from the illegal sale of its artifacts. The howler monkeys keep author Preston up most of the night on his first night in the jungle. 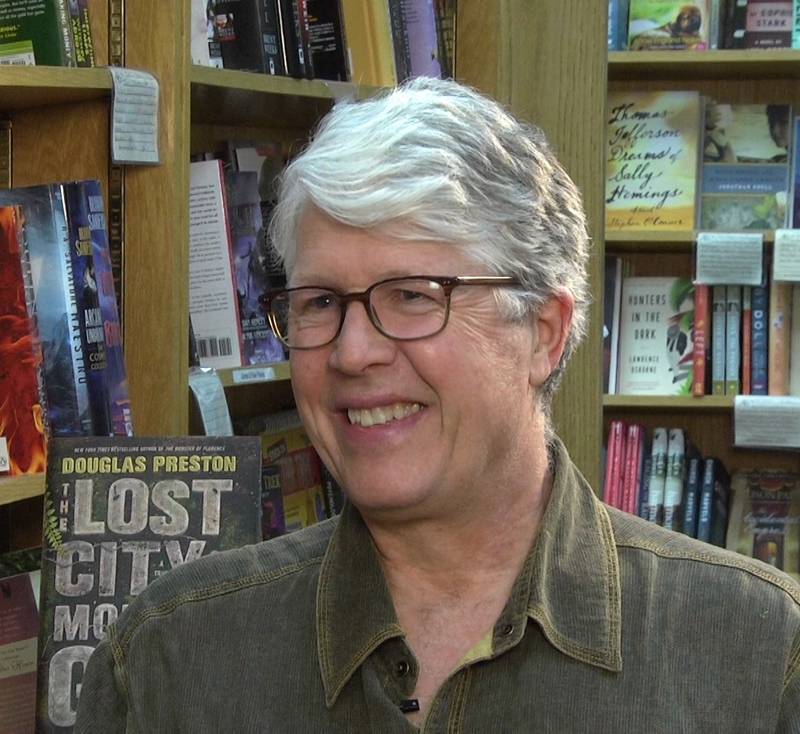 Douglas Preston, well known co-author with Lincoln Child of a thriller series, has also worked as a writer and editor for the American Museum of Natural History, doing additional writing for National Geographic, Natural History magazine, Smithsonian, and the New Yorker, and this trip would be part of a story for National Geographic, its photographs supplied by David Yoder, also on the trip. Preston’s unique talents here – both his fiction writing experience and his scientific work – would allow him to recreate the historical background of the trip and the real events during the trip in ways at least as exciting as the fictional events of his thrillers. While other members of the research group would be taking notes and writing about their scientific and historical discoveries and their technical research, Preston would be able to provide a more general, less esoteric, presentation to the general public through his National Geographic story and through this book. 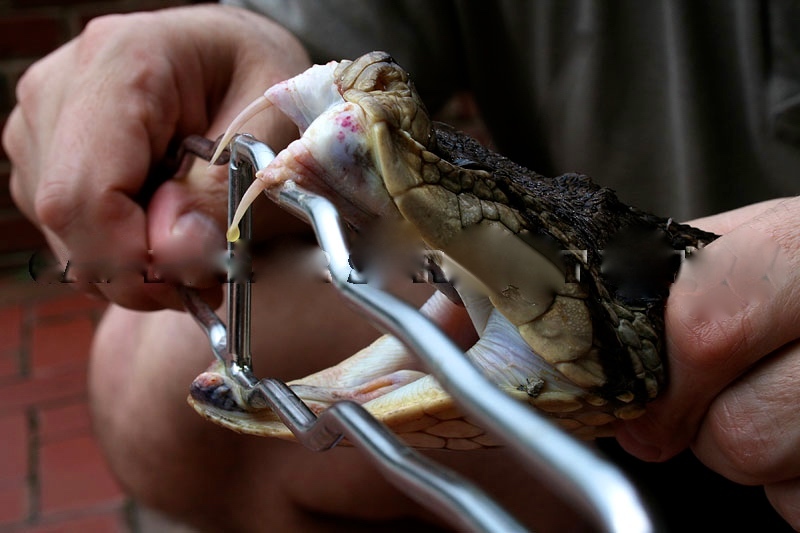 A fer-de-lance, one of the most poisonous snakes in the world, appears at camp the first night Preston is there. This one is being “milked” of its venom. Note the length of its fangs. On his first night, after hacking his way into the jungle to make a place for his hammock, Preston discovers the howler monkeys, and later has an encounter with a fer-de-lance, one of the deadliest snakes in the world. “In a strange way the encounter sharpened the experience of being here,” he says. “It amazed me that a valley so primeval and unspoiled could still exist in the twenty-first century. It was truly a lost world, a place that did not want us and where we did not belong.” The next day the group slashes its way to the top of a hill and plaza, where they find geometric mounds and terraces and a large stone, probably an altar stone, hidden among the heavy vegetation, then more and more mounds and plazas. One scientist concludes that “all this terrain, everything you see here, has been entirely modified by human hands.” The lidar survey had been proved correct. 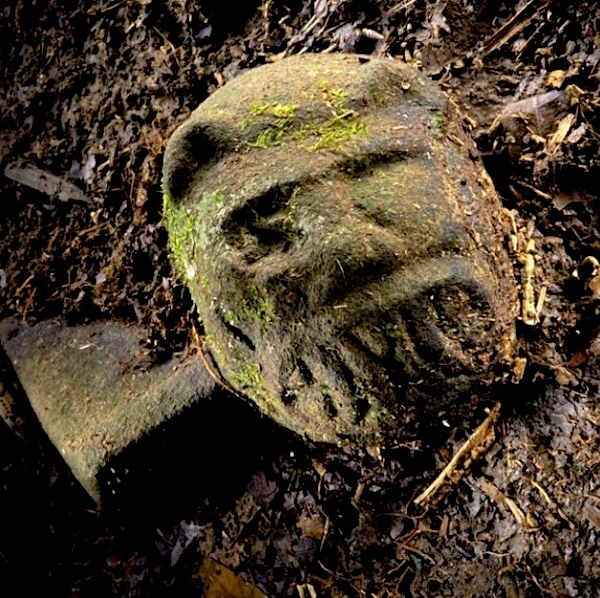 The were-jaguar effigy was found poking up from the ground on the first day of exploration of the site. After a delay for torrential rains, they later return to the base of the pyramid they have been investigating, and discover some “weird stones.” Dozens of carved stone sculptures are poking out of the ground. The first thing Preston sees is “the snarling head of a jaguar sticking out of the forest floor, then the rim of a vessel decorated with a vulture’s head and more stone jars carved with snakes.” These were “lying here undisturbed since they had been left centuries ago – until we stumbled upon them…proof, if we needed it, that this valley had not been explored in modern times.” To protect the site containing the “were-jaguar” and the vessel, the archaeologist tapes it off, allowing only the three archaeologists from among the ten people in the group to go inside the lines, that “jewel of a place, as pure as you could find, untouched for centuries.” Much more lay below the surface, but it would take excavation a year later to see how much more. Harrison Ford, active in Conservation International for fifteen years, is currently Vice Chairman of the group which financed the second trip to the “Lost City” in 2015. Here he consoles a baby orangutan at a sanctuary in Borneo. 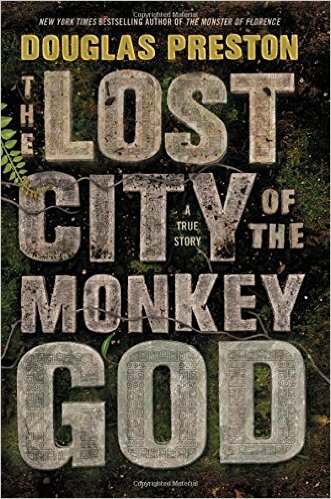 Eventually coming out of the expedition with only their photos, and leaving every artifact behind, marked with tape, the group returns, and Preston writes a brief announcement about the discovery of a lost city in the Honduran rain forest, a story that goes viral and becomes front-page news. Academic controversy immediately results, some academics claiming that the expedition has made false claims and exaggerated the importance of the finds. The academic jealousies do not abate. In the meantime, most of the participants in the expedition have had to be hospitalized, and treated, some for many months, for leishmaniasis, an often fatal parasitic disease with “a long and terrible history,” almost unheard of in modern times. Soldiers guarding the site have also been diagnosed with this disease, which has no known cure, raising questions about pandemics and the possible reasons for the total abandonment of the “lost city,” seemingly overnight. 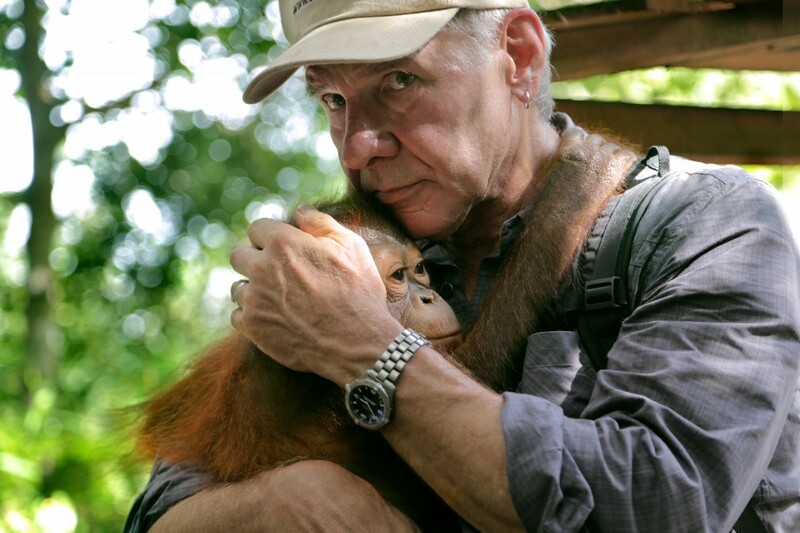 A second trip in 2015, in which Preston also participated, has led to further discoveries, this expedition having been financed by Conservation International, of which actor Harrison Ford is currently the Vice Chairman. The first artifacts removed from the site in 2015, the “were-jaguar” metate and the vulture jar, have been presented to the President of Honduras, and the country is now gearing up to protect and promote its own heritage. The rest of the story will continue, and I suspect that National Geographic will keep us all up to date. Somewhere in Honduras is a river like this, and somewhere along this river is the site of the Lost City. Photo by Dave Yoder, photographer for the expedition.